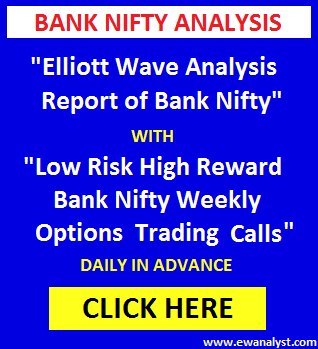 Bank Nifty opened gap up at 25952, declined sharply just after opening to registered low 25814 and bounced back to registered day’s high 26045 but declined back again to register day’s fresh low 25806 and finally closed 161 points up at 25930. Overall it was up down swing move. 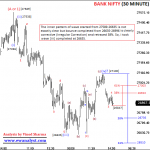 Yesterday, bounce towards 25910-26236 was expected in coming days from immediate support range 25725-25681. Same 25681 was immediate breakeven point on downside and any further fall was expected after breaking below 25681 only. Trading strategy was to buy any suitable Call of 15th Nov expiry [which is trading around 60] if Bank Nifty gets in 25725-25681 range using stoploss of 25589 expecting bounce towards 25910-26236 in coming days. 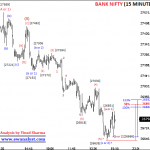 Bank Nifty achieved minimum target 25910 at opening only, So our trade was negated. Now, we need to analyze fresh charts to calculate further move. This is 05 Hourly time bar chart of Bank Nifty covering move from all time high 28388 which I am expecting start of wave  of wave (iii) on the previous chart. 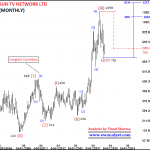 It seems wave completed from 28388-26555 may be wave (A or 1), wave completed from 26555-27205 may be wave (B or 2), wave completed from 27205-24240 may be wave (C or 3) but there are repeated (abc) waves after 24240. The bounce from 24240-25915 looks like (abc) move and the decline from 25915-24353 is also looks like (abc) which is making it difficult to identify exact waves. 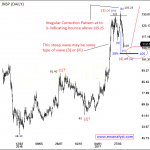 The pattern can turn into complex correction or any other pattern which I am not able to identify at present. So, let’s analyzed the last bounce started from 24353 to calculate immediate levels. 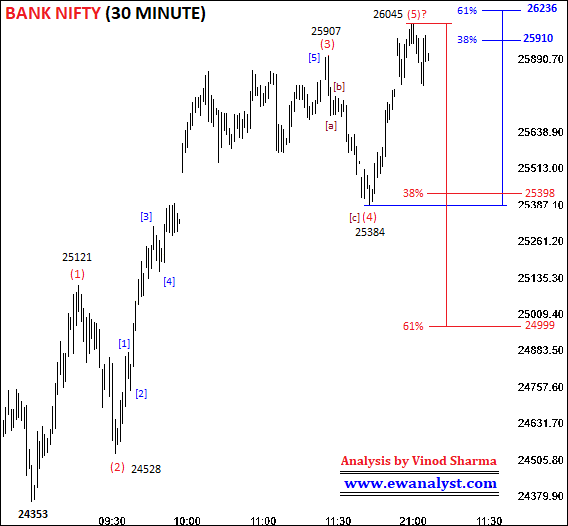 This is 30 Minute time bar chart of Bank Nifty covering bounce after 24353 which I am analyzing independently. 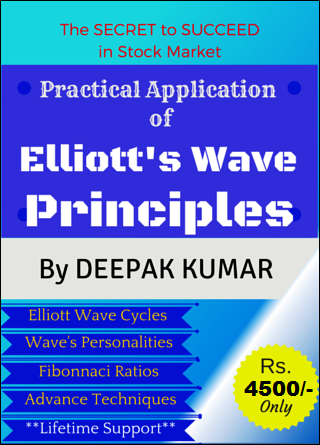 It seems wave (1) may be completed from 24353-25121, (2) may be completed from 25121-24528, wave (3) may be completed at 25907, wave (4) may be completed from 25907-25384 and wave (5) may be completed at 26045 or still in progress. Wave (5) achieved minimum 38% projection placed at 25910 and next 61% projection is placed at 26236 which may or may not be achieved. If an impulse is already completed from 24353-26045 then 38%-61% retracement of whole wave [24353-26045] is placed at 25398-24999 which is the expected targets range on downside. Now, we need to analyze the bounce started from low 25384 on separate lowest time frame chart to check if wave (5) is completed or still in progress. This is 05 Minute time bar chart of Bank Nifty covering move from high 25384 which I am expecting start of wave (5) on previous chart. It seems wave completed at 25574 may be wave , wave completed at 25497 may be wave , wave completed at 26045 may be wave  and wave  or  may be in progress. 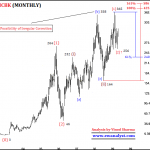 38% retracement of the progress of wave (5) is placed at 25792 which is immediate breakeven point on downside. 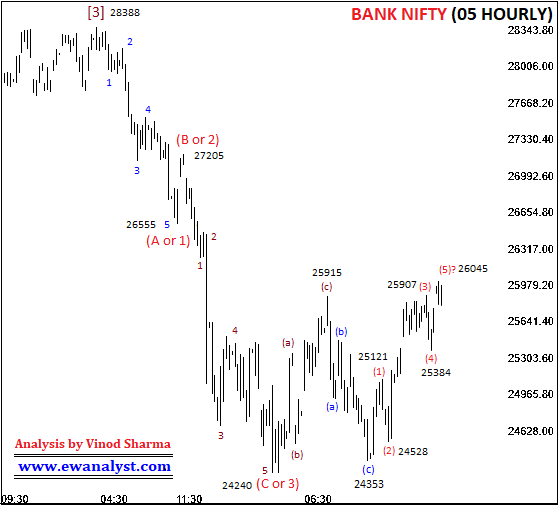 Bank Nifty if breaks and trade below 25792 by more than 15 minutes then further fall towards 25398-24999 can be possible in coming days. 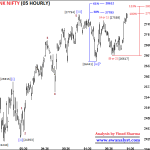 If wave  is completed at 25806 then minimum 38%-61% projection is placed at 26058-26214. 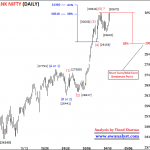 So, Bank Nifty can achieve 26058-26214 before decline. On the charts, it seems that an impulse is already completed from 24353-26045 or near to completion. 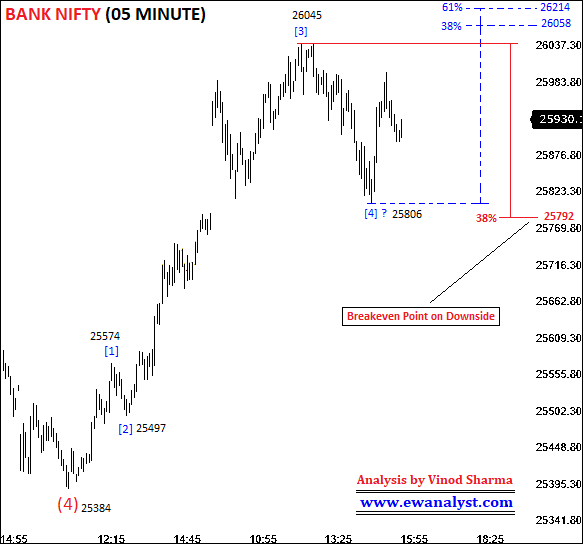 Now, 25792 [38% retracement of the progress of wave (5)] is the immediate breakeven point on downside. Bank Nifty if breaks and trade below 25792 by more than 15 minutes then further fall towards 25398-24999 can be possible in coming days. 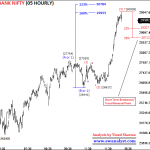 Otherwise, Bank Nifty can bounce towards 26058-26214 before any further decline. The bounce started from 24353 seems impulsive which achieved all its minimum requirements so there is possibility of some correction soon. So, we will avoid longs for time beings and will wait for correction. On downside, Bank Nifty if breaks and stay below 25792 for 15 minutes then any bounce towards 25792-25900 can be used to buy suitable Put of 22 Nov Expiry [which is trading around 60] using stoploss of 26046 expecting decline towards 25398-24999 in coming days. This is low risk trading strategy I can suggest in these conditions. Otherwise traders can plan their own trade based on the conditions explained above.